Infinite Art Tournament: October's Element of the Month: Protactinium! Protactinium is the Element between Thorium and Uranium on the periodic table. It is quite a bit rarer than its better-known neighbors, and even in the richest Protactinium-containing ores in the planet, it is only present to the extent of about three parts per million. If you can cobble enough of it together to exhibit physical properties it is, of course, a silvery-grey metal. To the human community, it is mostly just a nuisance material that has to be dealt with in nuclear reactors. It really doesn't have much of a fan club. Frequent readers of this feature will be familiar with the story of the orderly Mr. Mendeleev's periodic table, and how the gaps on the table guided brainy physicists in what to look for in the then-undiscovered Elements. A quirk in the system, however, had the scientists who were hunting for Protactinium turning over all of the wrong rocks. 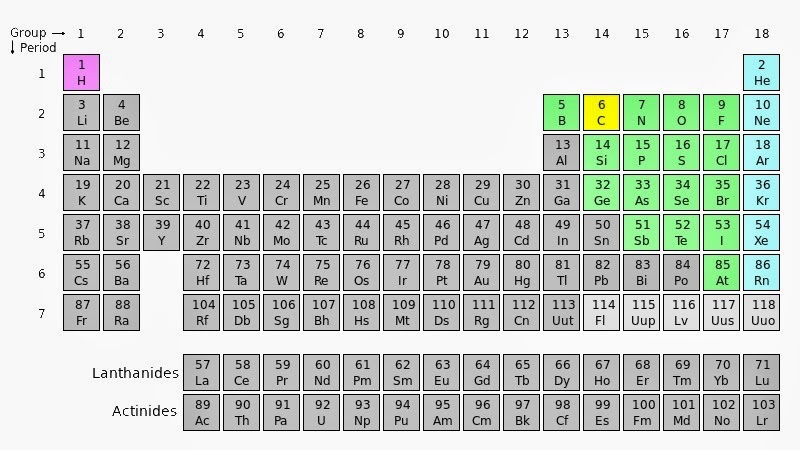 Let's take a look at a typical modern periodic table. It was clear that SOMETHING ought to be between Barium and Hafnium, and maybe lots of somethings, but people had a hell of a time finding it. 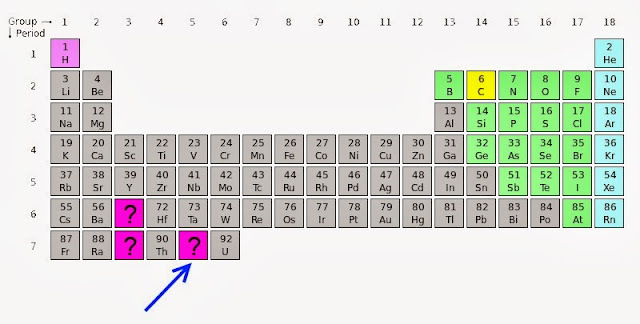 With the Lanthanides still in the dark, it seemed like a logical spot for Thorium was underneath Hafnium, and that Uranium could snug in under Tungsten. The missing Element that ought to be between Thorium and Uranium must therefore be underneath -- and therefore, should probably share quite a few chemical characteristics with -- Tantalum. The hunt for eka-tantalum was on! 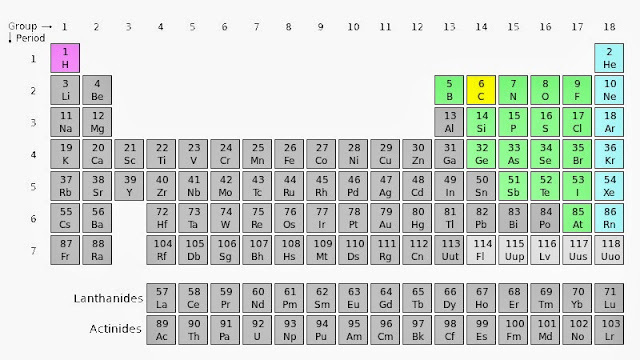 Except, as you can see from the modern chart, eka-tantalum (the next element in Tantalum's column) is really Dubnium, which wouldn't be synthesized until the 1960s. Protactinium was probably first isolated in 1900, but it wasn't recognized as an Element. The guy who found it, William Crookes, gave it the B-movie name of "Uranium-x." In 1917 and 1918, two teams of scientists more or less simultaneously came up with an intentional isolation, one in Britain and one in Germany -- and just as a sidebar, isn't it interesting to consider that there would still be sophisticated chemical research going on in Britain and Germany in 1917 and 1918? Why the goofy name? 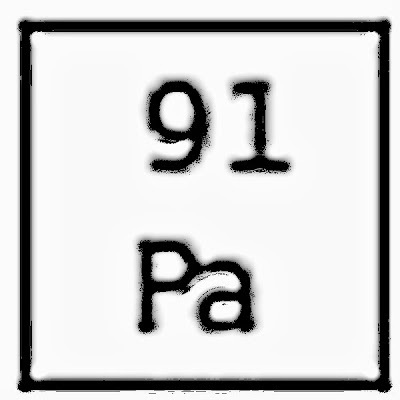 Well, the natural isotope of Element 91 decays to Element 89, Actinium, so it was called "Proto-Actinium," meaning "the stuff that is going to turn into Actinium." This was officially shortened to Protactinium by the IUPAC boys in 1949 "for ease of pronunciation," which just goes to show that you can put a bunch of brainy physics guys together on a committee and still come out with a pretty dumb decision. Hmm, maybe I was wrong about it not having a fan club.